Below are a few Driving school Reviews which have been left for Andrew’s Driving School. Scroll down to read our reviews. Naz was a great instructor to learn with from the start. I passed first time and would recommend Naz to anyone wishing to start or continue their driving! Got recommended multiple times from friends and really enjoyed it. Passed first time! Great instructor (Marcus) and helpful teaching. Passed first time with Marcus, couldn’t have picked a better driving school to learn with! Thank you again!! I enjoyed learning with Andrews driving school. The instructor is very professional and helpful. I would definitely recommend. Thank you! Such a good driving instructor so easy to get a long with,felt at ease at all times! Thank you Marcus!! Excellent driving instructor. Easy to get along with. Makes driving lessons really fun. Passed first time and with only 3 minors thanks to Andrew, highly recommended! Thank you Andrew & many thanks for all your expert tuition & more importantly your patience ???? over the last 6 months! If anyone is thinking of Driving lessons look no further than Andrew’s for a 1st class service from start to finish! Fantastic driving instructor, very easy to get along with and have a laugh. I would recommend to anyone, thanks again. I had driving lessons with Andrew in mid/late 2015. It was difficult to choose a driving instructor in the Conwy/Llandudno area and I decided to book lessons with Andrew as his facebook page indicated a lot of success with young drivers. He was honest about the number of lessons I needed and we drove around a great deal. Andrew is an excellent instructor who had every faith in me passing. He is incredibly patient and will let you know in a good way how to correct your driving. I just wanted to say a sincere thank you for helping my daughter Ellie to gain her licence today. She had a great deal of confidence in you (if not always in herself!) right from the beginning and she never doubted that she had signed on with the right instructor. Over the past weeks I could tell that your patience and good humour were making it a much easier and more pleasant experience for her. I’m delighted for Ellie and grateful to you. 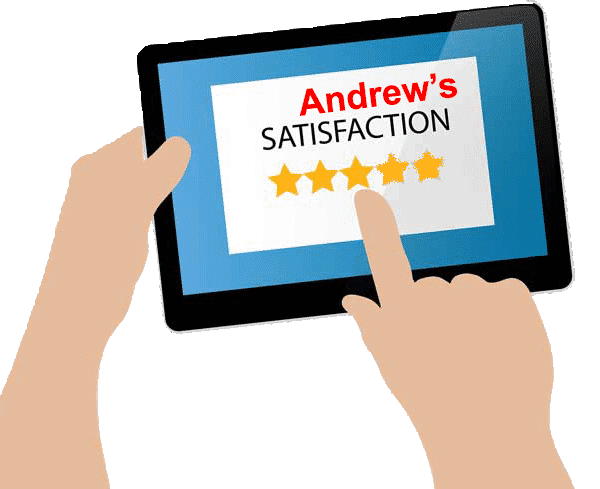 Above are just a few of the driving school reviews for Andrews, there are more reviews on our facebook page. Thank you for leaving the reviews.